The ultra light, clean nose DMM Ultra O oval karabiners are the mainstay of the DMM karabiner market, and for good reason. Not only do they give high strength to weight ratios and feel great in the hand, they also help to keep components of a system aligned. The deep symmetrical basket allows pulleys, webbing, ropes and even other karabiners naturally sit centrally in the oval basket but still allow easy stacking of components on either side. 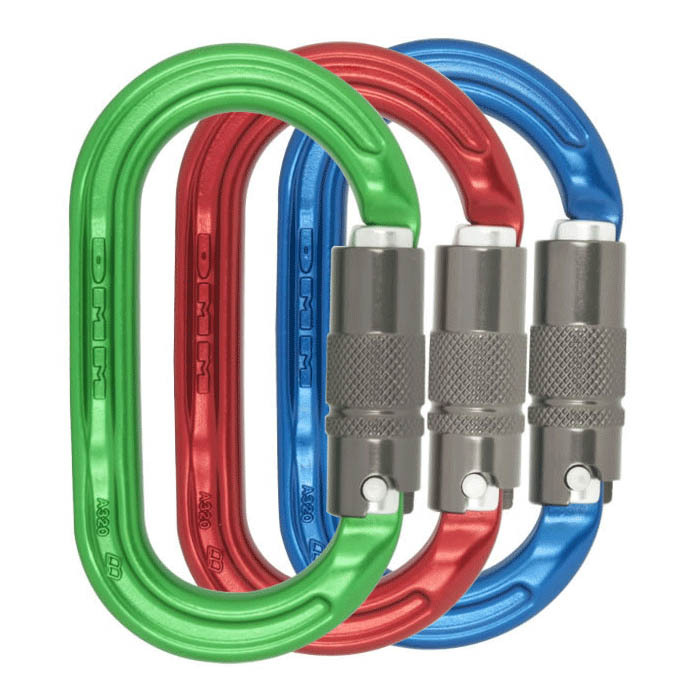 Any weight transfer then happens without any unnerving jumps associated with offset and D shaped karabiners. They are ideal for the training market to aid component identification from a distance, as well as being convenient for work teams and individuals in the safe organisation and operation of fall protection systems.